An extraordinary specimen. A group of two crystals, one of them twinned, dominant and bigger, showing parallel growth following the twin plane. The definition of the crystal is magnificent. Although its color is not red the analysis determined it is really Tantalite-(Mn). We’ll send a copy of the analysis to the buyer. Also, this specimen was photographed for the ‘what’s new at St Marie 2006’ section of the magazine ‘Minéraux et Fossiles’ and appears on page 21 of number 353. We will send the purchaser a copy of the magazine. 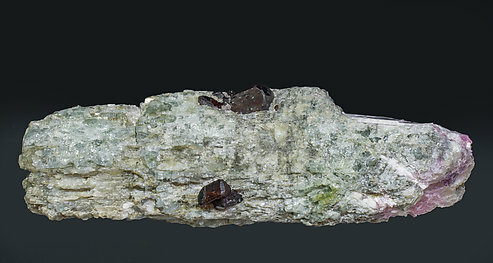 Pretty red and sharp Tantalite-(Mn) from China, the crystal is a floater with some minor associated feldspar. 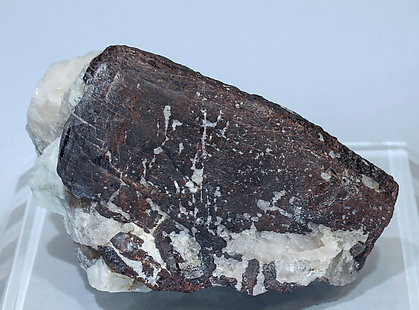 Isolated Tantalite-(Mn) crystals with very well defined faces and edges, translucent with a very vivid red color and implanted on a Lepidolite (after Elbaite) crystal with a fibrous aspect, also with Feldspar. 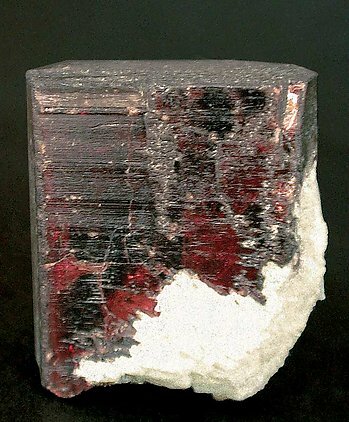 Single partially doubly terminated brown Manganotantalite crystal with reddish reflections and well defined faces and edges. On a Quartz matrix. The sample has been analyzed and we’ll send a copy of the analysis to the buyer. 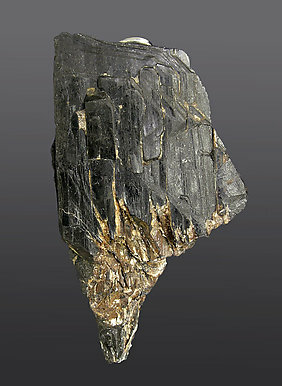 Small but very well defined crystal of Tantalite-(Mn) with an excellent termination. 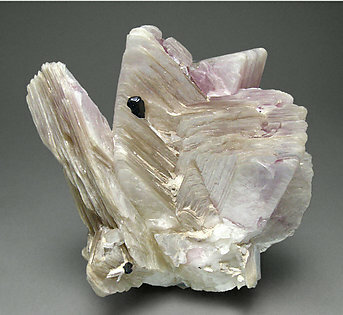 The matrix is a group of big very well defined crystals of Lepidolite that have good pink color.